Those crows and pesky squirrels better watch out! I think this G.I. just found a new enemy in the backyard. Those dips and grassless patches? Nothing unusual for this Private. Those are just landmines and base camp. 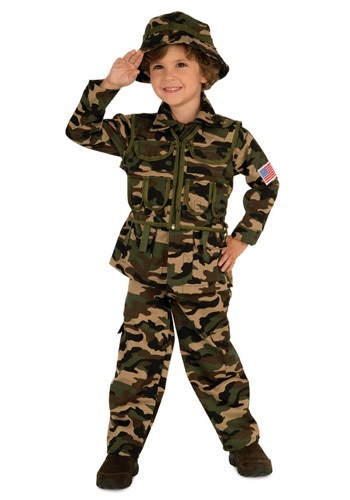 Let your child feel just like a real solider (without actually getting deployed) in this Kids Army Costume.